From October 1-5, 2012, a working group of the United Nations Commission on International Trade Law (UNCITRAL) met in Vienna to continue work on how to ensure transparency in treaty-based investor-state arbitration. It was the working group’s fifth week-long meeting on the topic, but will not be the last. Although some issues were settled, many very significant ones remain contentious, and will be picked up again by the working group when it meets in February 2013. UNCITRAL arbitration rules are among the least transparent rules applied to treaty-based investor-state arbitrations. In contrast to rules developed by the World Bank’s International Center for Settlement of Investment Disputes, for example, which require disclosure of the existence of an investor-state arbitration, permit either disputing party to unilaterally disclose awards, and even require publication of aspects of awards, UNCITRAL arbitration rules enable disputes to be kept entirely out of the public view from their inception to conclusion. There is no requirement that the existence of disputes be made public; and before an award can be disclosed, all disputing parties—states and investors—must agree. 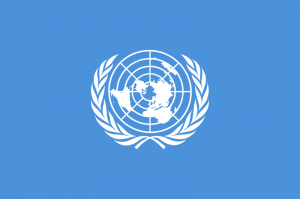 Recognizing this lack of transparency as a problem that needed to be remedied, in 2008, UNCITRAL decided to dedicate attention to the issue, and directed its Working Group on Arbitration and Conciliation, Working Group II, to develop a legal standard that would ensure transparency in treaty-based investor-state arbitration. Working Group II began work on that task in October 2010, and has now adopted various elements of new arbitration rules for which there was “consensus”—a measurement of agreement among delegations that lies somewhere between a simple majority and unanimity. The features of the rules on which consensus has been reached include provisions mandating disclosure of the existence of the arbitration and identification of the parties to it; key documents submitted to the tribunal during the arbitration, including briefs or memorials by the disputing parties, witness statements, expert reports, and transcripts of hearings, if they are prepared; and orders, decisions and awards issued by the tribunal. Consensus was also reached on certain aspects of the draft proposed rules setting requirements and procedures for non-parties to the dispute—i.e., potential amicus curiae and the non-disputing state party to the treaty—to provide input to the tribunal through the submission of briefs. There remain, however, a number of areas on which consensus has not yet been reached. For instance, the Working Group has not settled on whether, if the non-disputing state party to the treaty seeks to make a submission on the interpretation of the treaty, the tribunal must accept that submission, or whether the tribunal will be able to use its discretion to determine how to treat the proposed input. And, although there was overwhelming support for a rule that would require open hearings, several delegations maintained that the rule should stay as it currently is in UNCITRAL arbitrations, whereby either disputing party can require the hearings to be closed if it wishes. In light of these delegations’ stance, there was no formal declaration of “consensus” on that issue of open hearings. Some other issues that are currently open are especially key for assessing the success or failure of these rules in achieving their mission of ensuring transparency in investor-state arbitration. For one, although there is apparent unanimous support among the Working Group for the notion that draft rules mandating transparency must also include some exceptions for confidential or otherwise protected information, the Working Group has not yet agreed on how to answer a number of questions regarding the exact scope of what can and cannot be shielded from disclosure. One proposal made in this recent October 2012 session on the issue of the exceptions was particularly controversial. A delegation suggested widening the exceptions much broader than previously contemplated by the Working Group by inserting a new “self-judging” exception pursuant to which a disputing party could withhold information “it considers would impede law enforcement, or would be contrary to the public interest, or its essential security interest.” Although some countries supported this proposal, a larger number strongly opposed it, arguing that such an insertion would swallow the rules on transparency and would be contrary to the mandate given to the Working Group to ensure transparency in investor-state arbitration. The Working Group will return to the issue in February. A second crucial open issue concerns the scope of application. Delegations are divided on whether and how to allow the new rules on transparency to apply to disputes arising under the thousands of investment treaties that currently exist, and upon which the vast bulk of investment disputes can be expected to be based for years to come. Many are proposing a “bright line” approach that would draft the new rules on transparency so as to carve out existing treaties from their scope unless and until state parties to the governing treaty take some additional affirmative step, such as entering into a potential new treaty that would expressly permit (or require) application of the transparency rules. Others, however, have pointed out that if and when new amendments to the UNCITRAL arbitration rules are adopted, they could apply to existing treaties under normal rules of treaty interpretation. According to these delegations, the “bright line” rule would preclude application of the new rules on transparency to existing treaties even where international law would otherwise permit it, and would be inconsistent with the mandate to the Working Group. The countries taking this stance and asking to allow potential application to existing treaties include the governments of Argentina, Australia, Canada, Mexico, Norway, South Africa and the United States. Countries opposing it and arguing for the “bright line” rule have not similarly made their positions publicly known outside the Working Group. Overall, although Working Group II has undoubtedly made progress on its mandate, the issues that remain to be resolved are central to the ultimate impact and effectiveness of the new transparency rules, and are areas where considerable divisions among delegations remain. Author: Lise Johnson is lead investment law and policy researcher at the Vale Columbia Center on Sustainable International Investment. Previous article Previous article: Investment Treaties and Investor Corruption: An Emerging Defense for Host States?